Research Grant awarded in 2017. 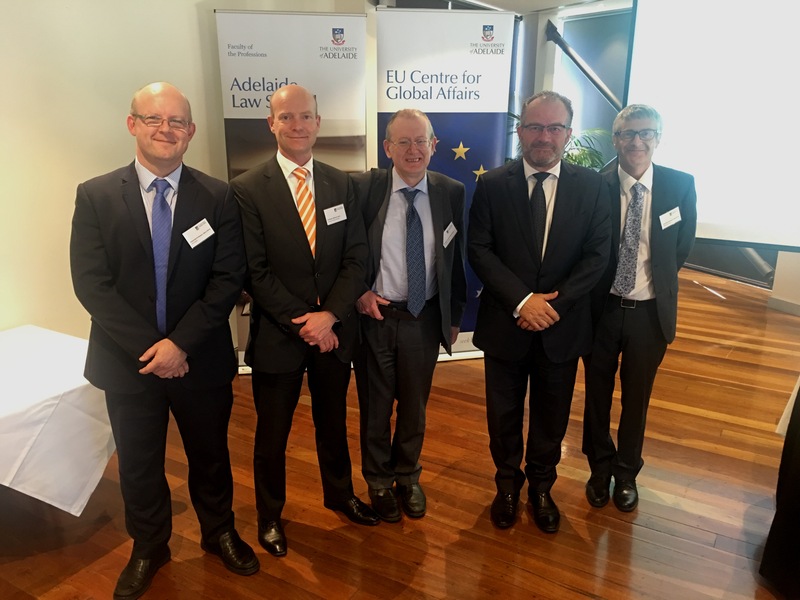 On Thursday 16 March at the National Wine Centre, Regulation of Corporations, Insolvency and Taxation at the University of Adelaide, in conjunction with support from the EU Centre for Global Affairs, hosted a symposium on Business Rescue in Australia and the EU. 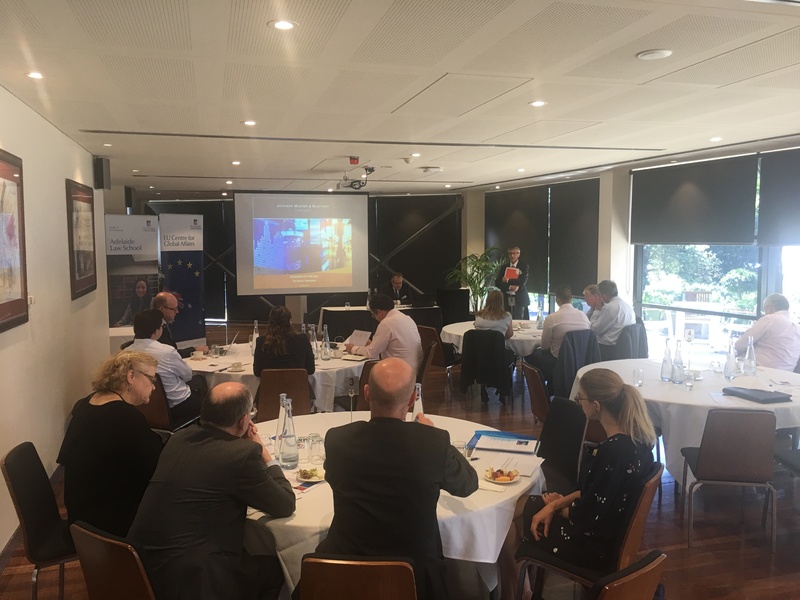 The morning was devoted to presentations from Professor Gerard McCormack of Leeds University, School of Law and Professor Michael Veder of Radboud University, Nijmegen, Faculty of Law both of whom have worked on business rescue and insolvency initiatives in the EU. 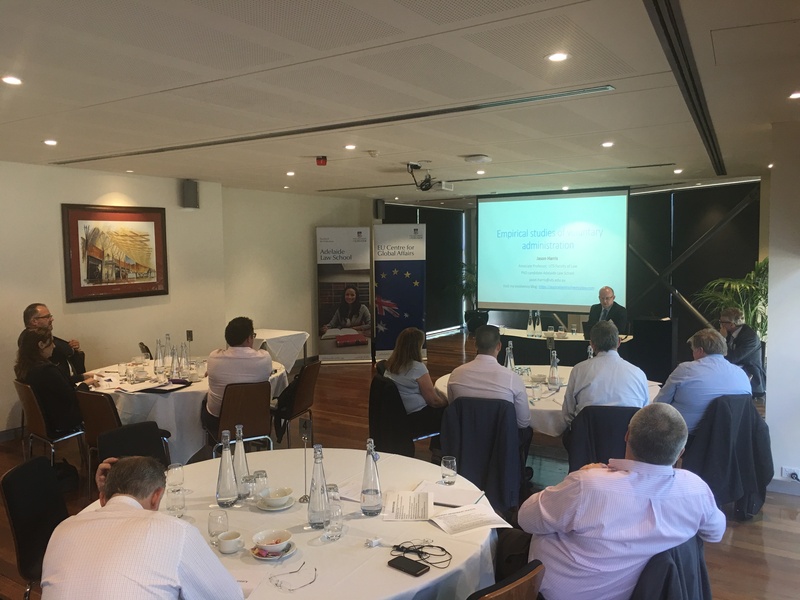 Other issues common to Australia and the EU were the SME sector, growing use of schemes (Part 5.1 of the Corporations Act 2001) in larger cases; proposals to outlaw ipso facto clauses on corporate insolvency, and the interrelationship with directors’ duties in the ‘twilight zone’ of insolvency. In the afternoon David Proudman of Johnson Winter & Slattery asked and answered the question whether Australia’s ‘toolkit’ for corporate rescue, particularly the Voluntary Administration (VA) and Deed of Company Arrangement procedure, were fit for purpose in the global twenty-first century. 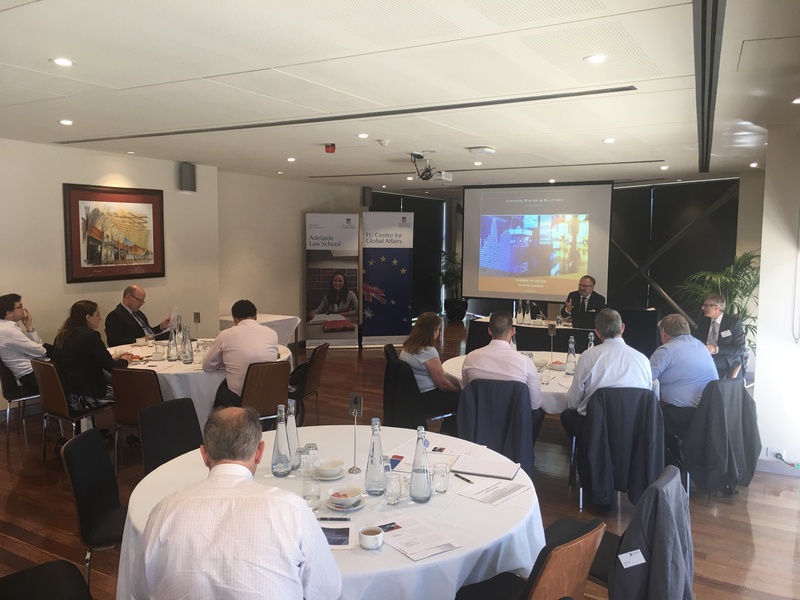 In particular he gave fascinating insights into the Arrium steel rescue process and concluded that this illustrated the flexibility of the Australian regime. The afternoon concluded with Associate Professor Jason Harris of the University of Technology Sydney, Faculty of Law discussing some findings from his PhD at the University of Adelaide, in particular empirical research about the use of VAs relative to other procedures and the perceptions of insolvency practitioners, before concluding with discussion of recent Australian reform proposals by the Commonwealth Government, and implementation of the recent Insolvency Law Reform Act 2016. Attendees commented on the high quality and topicality of the presentations and ensuing discussions, and the splendid Wine Centre venue. Download Professor Gerard McCormack’s presentation HERE and Associate Professor Jason Harris’ presentation HERE.